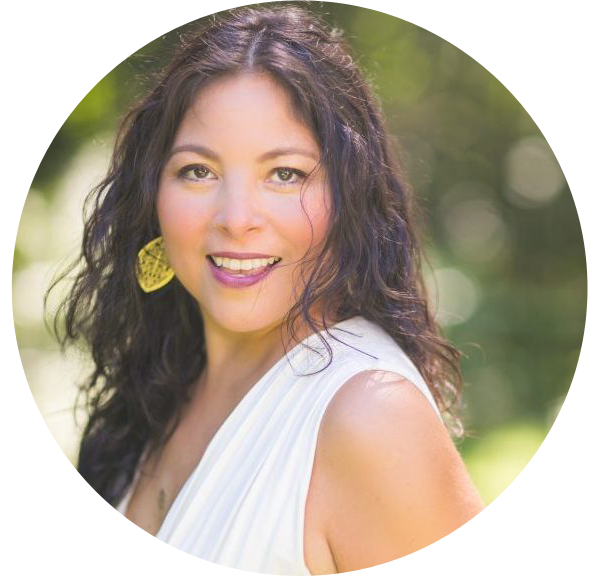 I’m Margaret Romero, founder of Femme Med in New York City and host of The Sacred Medicine Podcast. I’m a Columbia-trained and nationally board certified functional medicine nurse practitioner, women’s health professional, and sexual health expert. Nearly three decades ago, after first graduating from SUNY Stony Brook with a BS in Biology, then from Columbia University with a Bachelor’s and Master’s Degree in Nursing, I started my career as an emergency medical technician. My career has included founding multiple practices, pioneering integrative/functional medicine through teaching at the Columbia University School of Nursing in New York City, and working with the top integrative health centers in New York City including celebrity-favorite Oz Medical, founded by nutritionist and anti-aging guru, Oz Garcia. In 2017 I founded Femme Med, a whole-health sanctuary for women in the middle of New York City, that blends my unique background of cutting-edge functional, holistic medicine, and sexual health so that I can serve women from a more holistic approach, inspired by the creation of my podcast. Here at Femme Med we use the latest in lab testing, IV vitamin nutrients, customized vitamin supplementation, effective sexual health therapies including the revolutionary O-Shot, and the very best in holistic medicine. I’ve worked closely with women for over two decades; diagnosing powerful, driven, and successful women suffering with chronic fatigue, depleted adrenals, and zero libido along with severe hormonal changes. So often, in an effort to keep the world around us running, we operate completely in our masculine energy, 24/7, which is creating havoc in our bodies. If you are in or near New York City, or are planning a visit, I invite you to step into this beautiful new space designed to support your whole health and healing. To explore a full menu of Femme Med services, or to book an appointment, call (347) 948-8810 or click here to schedule a consultation for your specific needs. You can also send me an email. I look forward to learning more about how I can serve you. After a debilitating diagnosis of lupus nephritis, I shifted my passion from reactive to proactive, became gluten free and haven’t looked back since. I was able to rescue myself from the pain and misery by developing a lupus-healing program that alleviated my symptomatic body and removed the need for medication, hospitalization, and a kidney transplant. If you would like to learn the why behind your own daily struggles with pain and extreme levels of tiredness and how to significantly relieve, if not eliminate, your symptoms, visit my 4-week foundational course: Overcoming Lupus. In addition to my personal healing experience and my strong medical training, I empower and encourage women to recognize their innate feminine wisdom through my show: The Sacred Medicine Podcast. I created this podcast to invite women to step into their power in all areas of their lives including relationships, health, finances, dating, sexually, and living their best life ever! I envision a world where women completely embody divinity, owning their feminine power and deeper self. Through this show, I help create, grow, and support a world where women radiate authenticity and allure. I invite you to access the archives (as well as all future episodes) of The Sacred Medicine Podcast online, or you can subscribe in iTunes. Join me, and my special guests, as we learn how to nourish our souls, minds, and bodies with daily rituals, embracing exquisite self-care, and awakening our innate sensuality. If you are interested in being a guest on The Sacred Medicine Podcast, I’d love to hear from you.